India’s leading discount broker Upstox has recently launched its online and mobile application for stock trading in Hindi, enabling people who are more comfortable with the Hindi language to lock in their stock market trades in their own language. According to Census 2011 data, about 44% of India’s population has Hindi as their mother tongue. The addition of the Hindi language feature to Upstox mobile and online trading platforms is with an aim to achieve inclusive growth in the country’s Hindi speaking belt, enabling people who were so far earlier left out of stock market trading due to their lack of knowledge of English to participate on markets. Upstox is already witnessing a large number of people from Uttar Pradesh, Bihar, Madhya Pradesh and Maharashtra using the Hindi feature of its app for participating in equity market. “Since the launch of our App in Hindi last month, we have witnessed about 12% increase in our App user base in just over a month. We have also seen almost 20% more trades coming in from the App since the launch of the Hindi language,” says Ravi Kumar, Co-Founder and CEO of Upstox. Ravi added that Upstox would be also launching the App in Gujarati by November end. 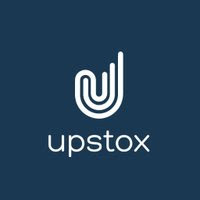 Upstox is an online brokerage service, which makes real time trading possible on a click of a button. Traders can directly participate in online trading through their own accounts using a mobile or a computer device and do not have to rely on any third party or broker to facilitate the trades. In India currently, the bulk of stock market trades happen through online channels facilitated by discount brokerages like Upstox. Though Upstox has a strong Call and Trade service, almost 98.5% of all the orders for Upstox are placed online via its web and mobile trading platforms. Only about 1.5% of all the trades are placed through its Call and Trade desk. Contribution of Upstox to daily notional turnover of exchanges has increased by almost three-times over the past year -- from around Rs. 5,000 -6,000 crores per day to Rs. 14,000 -18,000 crores per day. “The Indian market is still a largely under tapped, especially when it comes to capital market participation. Our target is to enable a trader or investor living even in a remote town in India to purchase and sell stocks whenever and wherever she wants. Adding the regional language capability on the online trading platforms is a step in that direction for Upstox,” Ravi adds. Currently, equity market penetration is still extremely skewed and very low in India, despite the promising growth that various Indian companies have seen over the years. Only 2 -3% of the total population in India invests in the share markets. According to SEBI Bulletin monthly report for September 2018, Top 5 cities contribute to more than 80% turnover of NSE’s cash segment.